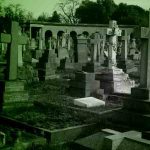 Is Edinburgh Really The Most Haunted Place In Scotland? Is Mary King's Close haunted? The scary truth behind the top Edinburgh spooky attraction!